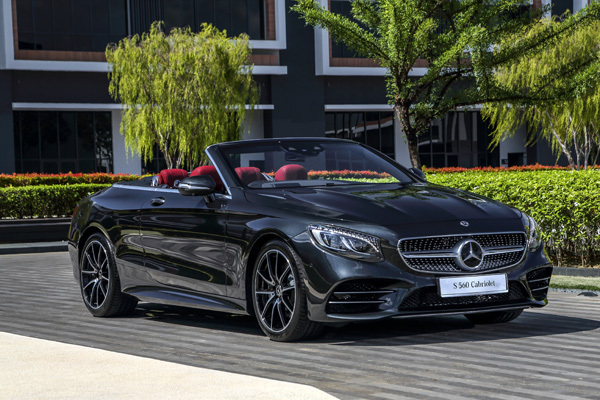 Mercedes-Benz Malaysia proudly launches the much-anticipated new S-Class limousine, along with the S-Class cabriolet, S-Class Coupe, and Mercedes-Maybach S-Class for an exclusively diverse and holisitic collection of Mercedes-Benz S-Class automobiles. 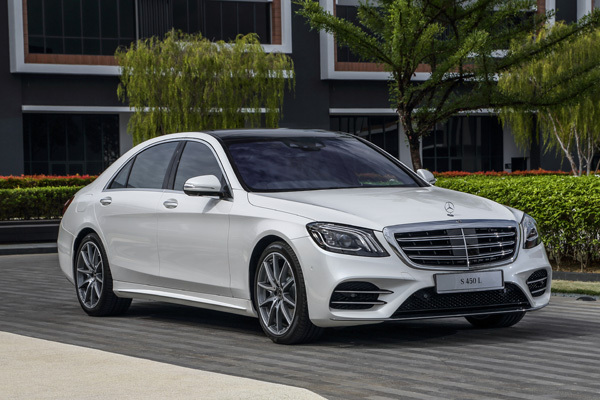 As the most iconic nameplate in Mercedes-Benz history and the flagship for the brand, the S-Class family confidently asserts itself as a complete proposition to lead the premium automotive segment. “The S-Class family is the definitive statement of luxury in it purest form. From the Modern Luxury of the S-Class Limousine to the pair that is S-Class Cabriolet and the Mercedes-AMG S-Class Coupe offering Bespoke Luxury and Performance Luxury for the discerning connoisseur or driver, and of course the embodiment of Ultimate Luxury that is the Mercedes-Maybach S-Class; the S-Class family has something to fulfill every desire. 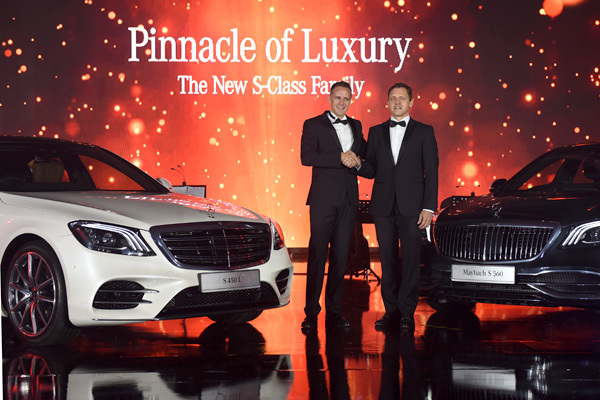 With this launch of this exclusive collection, the Pinnacle of Luxury, we proudly underline our position as a leading luxury lifestyle brand in the automotive segment,” says Mark Raine, Vice President Sales & Marketing Passenger Cars, Mercedes-Benz Malaysia. The development work on the new S-Class was extremely extensive, with 6,500 new components. With a whole series of new features and functions, the S-Class remains the technological pioneer. 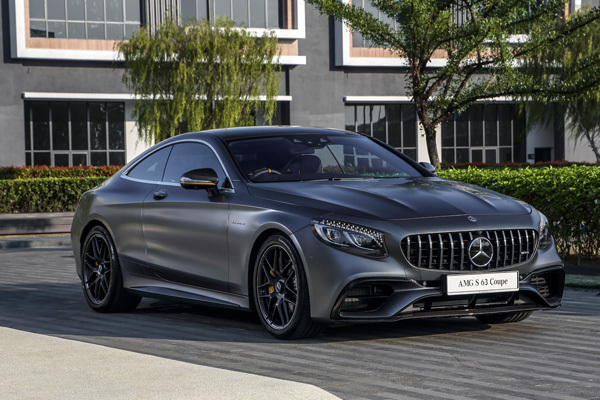 The flagship from Mercedes-Benz was the best-selling luxury saloon in the world in 2016. Since 2013 the company has sold well over 300,000 saloons. Today there are six different S-Class body variants. 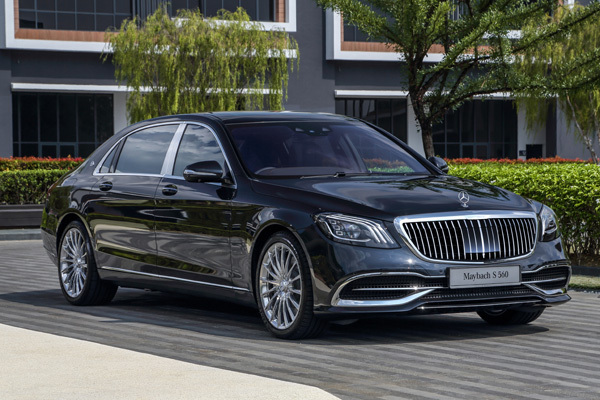 The Mercedes-Maybach S-Class is refined and majestic, representing Mercedes-Benz more than simply as the inventor of the automobile, the technology leader and the pioneer of future mobility – but as the only choice for Ultimate Luxury. Where the character of tradition meets contemporary innovation, and cutting-edge technology exists in harmony with unrivalled craftsmanship, the Mercedes-Maybach S-Class is the epitome of all these and more. As an Icon of Luxury, there is no finer way to travel and no experience more phenomenal and lavish than that offered by the Mercedes-Maybach S-Class. Two new exclusive colour combinations are offered in the interior: armagnac brown/black and savanna beige/black. The black Maybach Exclusive nappa leather upholstery appointments can also be ordered with a choice of copper-, gold- or platinum-coloured contrasting topstitching. Also new in the range are trim inserts in designo flowing lines Magnolia wood. Only 20% of road traffic is at night-time, but 40% of all fatal accidents occur during this period. Night View Assist Plus enables drivers to detect pedestrians or larger animals sooner in the dark. They are clearly highlighted in the cockpit display. To do this the system illuminates the road ahead with two anti-dazzle infrared lamps. With the help of an infrared camera located behind the windscreen, the entire area within high-beam headlamp range is shown as a crystal-clear greyscale image. A thermal imaging camera in the radiator grille is able to give a precise warning by distinguishing between irrelevant objects such as traffic sign combinations or bushes and relevant objects such as pedestrians or large animals. The latter are highlighted in colour by small “photo mounts”. The spotlight function enables endangered pedestrians to be flashed at several times, so that the driver registers them even more quickly and the former recognise the danger. As standard the night view image only appears automatically when a hazardous situation is recognised. For more information, visit www.mercedes-benz.com.my.